You Are Here: Home > How Long Do Car Batteries Last? Do you ever wish there was a timer in your car that could count down the longevity of each and every replaceable part? Unfortunately, such a device hasn’t been created yet, but car maintenance is actually pretty easy to keep up with when you have some basic details, especially in the Exeter, Portsmouth, and Stratham areas. At BMW of Stratham, we understand that none of our drivers have a crystal ball and we’ve come to expect repairs and service. For this reason, we ensure that the members of our service team are well-versed in the life span of car parts and can make recommendations when they know your car is coming close. In your TV remote, you just pop the batteries in the back and the thing works, right? Well, a car battery works a little bit differently. 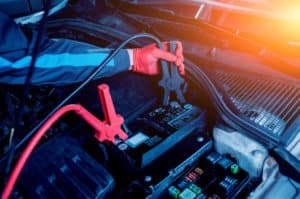 The battery in your car, which looks like a small plastic box with some bolts on the top, provides short bursts of energy that supply power to certain functions in your car, such as the lights, the radio, and your engine. When you turn the key in the ignition or push a button these days, chemicals within the battery work together to create an electric charge. A big enough charge produces enough electricity and allows it to flow from the bolts on the top into your ignition, thus starting your car. However, your car doesn’t simply rely on that power alone, as the alternator picks up where the battery leaves off. 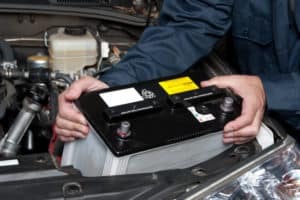 Why Do Car Batteries Go Bad? Let’s go back to your TV remote. You can usually tell when the batteries are going dead, right? Well, your car will offer warning signs, too. There are a couple of different ways you can tell if you’re going to need a new battery soon. First, think about how old the battery is. The manufacturer’s recommendation for the life of a car battery is three to five years, but most service technicians err on the side of caution and say three years. If you can’t remember when you replaced the battery, there may be some corrosion around the bolts (a whitish or greenish substance that looks a bit like rock salt) or starting the engine might take a bit longer than usual. These are the telltale signs. Sure, you can jump-start the battery if it goes dead from human error, such as leaving the lights on, and it’ll come to life again. However, repeatedly using jumper cables on a vehicle that is having trouble starting could mean the battery is becoming an issue. You know when the batteries start going dead in the remote and you take them out and flip them around to try and coax some more power out of them? That’s pretty much akin to jump-starting a battery that is on its last legs; it’s a temporary fix, at best. We want to help drivers in the Portsmouth, Stratham, and Exeter areas maintain their vehicles in the best way possible. When your car battery is relying mostly on jump-starts to get your engine to turn over, give us a call.  At BMW of Stratham, we can schedule a service appointment for you or you can do it on our website, but don’t wait. Get your battery replaced today!